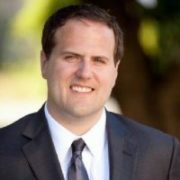 As Chief Technology Officer for RW3, Joshua Sturtevant coordinates the planning and development of RW3 tools, sites, and services and helps to translate RW3′s business and learning goals into engaging applications through innovative technology. With a background in public relations, mass communications, and project management, he brings a varied skill set to the RW3 team. Joshua received his Master’s degree in Music Technology at the New York University, with a thesis that focused on human interaction in the use and creation of technologies.